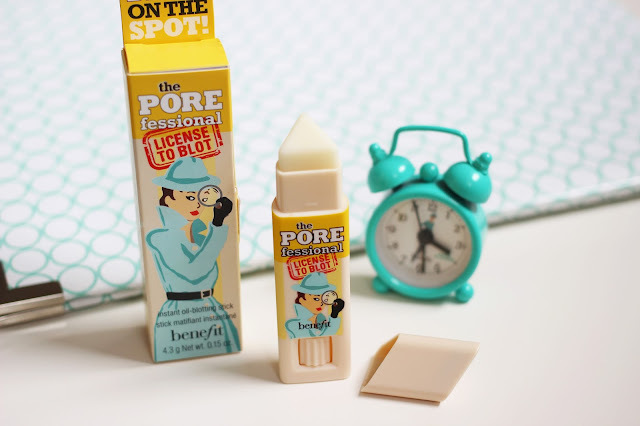 Even when the weather is at its chilliest there's always a tube journey/run to the office/foundation the wrong side of dewy to help us channel 'sweaty Betty'. Add in summer heat and suddenly there's makeup slipping and sliding all over the shop with women everywhere furiously dabbing at their brow with papers or powders. Cue Benefit spotting this problem and releasing a fabulous solution; the just dropped License to Blot. 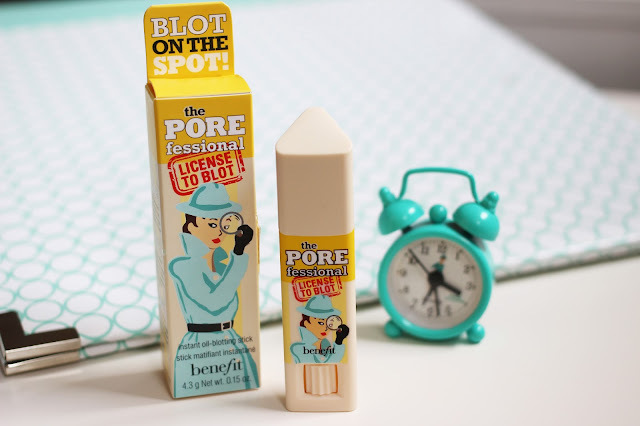 Part of their best selling POREfessional range which aims to give women true complexion perfection, this stick simply blots away pesky unwanted oil that crops up throughout the day. The product's pocket size makes it perfect for even the tiniest of clutch bags and the triangular shape fits perfectly on the nose, brow and chin areas- making it seriously transportable and easy to use. LTB also doesn't take half your makeup off along with it and this effectiveness means no longer adding another half face of powder in the battle against shine and turning into cake face (we've all been there.) Summer handbag staple status achieved! Do you want the License to Blot? This is such a great idea, so much easier than carrying a powder and brush in your bag! I've heard so much about this, it sounds incredible! This looks great, perfect for summer! Lovely post. So, like, you just blot away oil!? Adding this to my summer wish list + essentials.